The most important choice you have to make when choosing where to stay in Tulum is whether you want to be on the beach or in Tulum town. Tulum town and the beach are about 5km apart and offer quite different experiences. The hotels in Tulum town are typically more authentic Mexican whilst the beach caters more for international travellers. 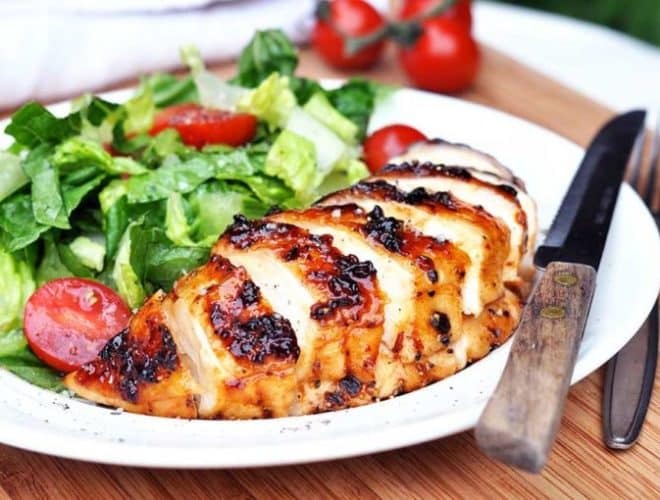 If you’re not sure where to stay and if you have the time we would recommend that you split your visit one quarter Tulum town and three quarters Tulum Beach. On shorter trips head straight to the beach. 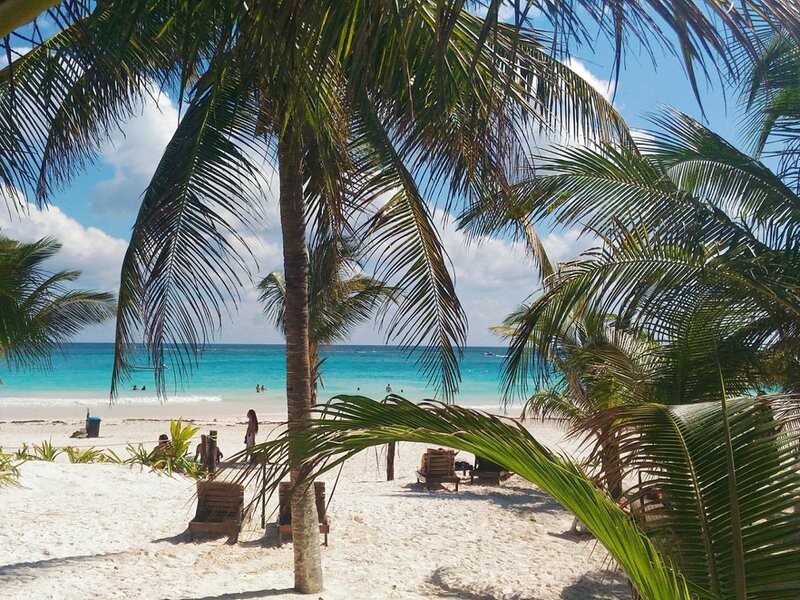 For more Tulum travel tips check out our guide to Tulum. Are you a nature lover who doesn’t mind staying in rustic accommodations? If yes, then we recommend the Quintana Roo National Park Campground and Hiking. 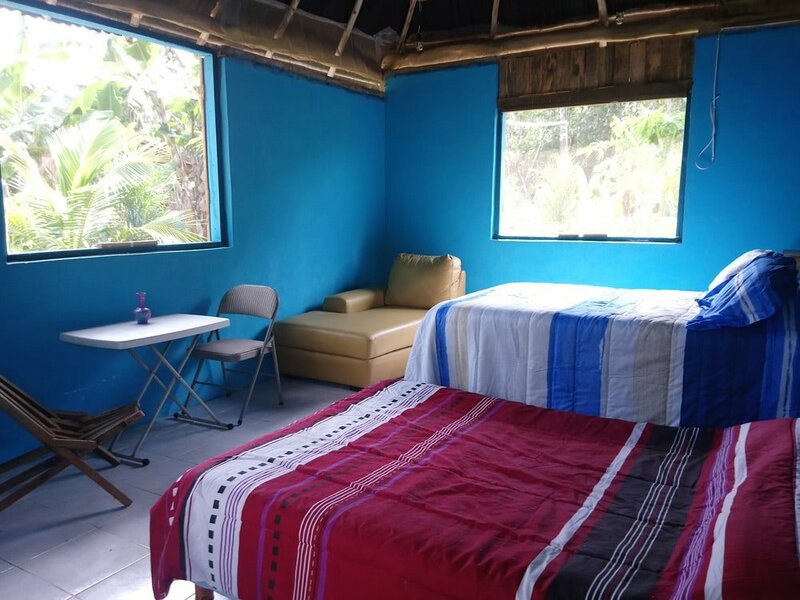 Your stay includes daily breakfast, also free parking, kitchenette and dining areas, and the opportunity to camp in the heart of the Mayan jungle. The Hotel and Cabañas Zazil Kin is a budget-friendly option which offers the comfort of nice bungalows just a few feet away from the beach. Yes, Zazil Kin has its own private beachfront which is very hard to find without a big budget. Furthermore, it offers a restaurant and other activities such as snorkelling, diving, and windsurfing at affordable prices. First up for our mid-range selections is a true hidden gem. Cabañas la Luna offers a handful of spacious and secluded waterfront cabañas at a fair price. This B&B is one of the best rated and a calm place in the middle of the jungle. It’s perfect for travellers seeking absolute bliss and relaxation. La Selva Mariposa is also the perfect option for nature and bird lovers as you can spot a variety of them around. 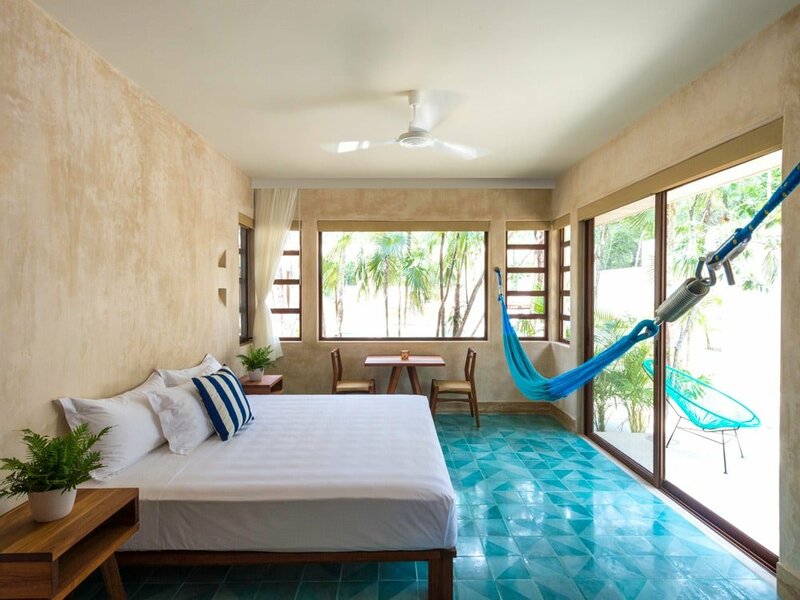 Finally, on our mid-range options, Hotel Tiki Tiki Tulum is set in the jungle and with minimalist design is perfect for those who like to travel in style. 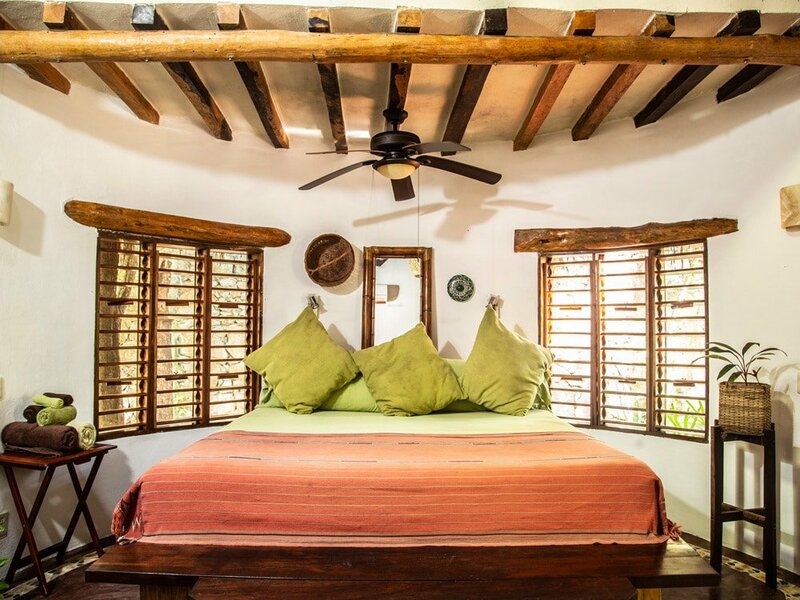 This boutique hotel offers everything you need for a comfortable and authentic stay in Tulum. Azulik Tulum is definitely one of the most dreamy places to stay in Tulum. While it is an eco-friendly accommodation, the villas are certainly luxurious and boho-chic. Dreams Tulum is more than its name due to its amazing location just a few meters away from the Mayan Ruins. Its magnificent colonial architecture definitely is surreal. With breath-taking views of white sand and turquoise water, you will almost certainly feel as if you are in heaven. Finally on our guide to where to stay in Tulum, we recommend Be Tulum where nature, intimacy, luxury, and design all converge. Take everything that makes Tulum a paradise and maximise it, and well, the result is definitely this world-class hotel. Just remember, this beachfront hotel is highly in demand, so you better book a few months in advance.